The value 0 is the set that is a distance 0 from its negative. 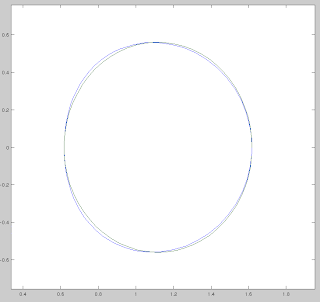 The unit diameter circle is the set that is a distance 1 from its negative. The value 1 is the set that is a distance 0 from its inverse. What is the set that is a distance 1 from its inverse? 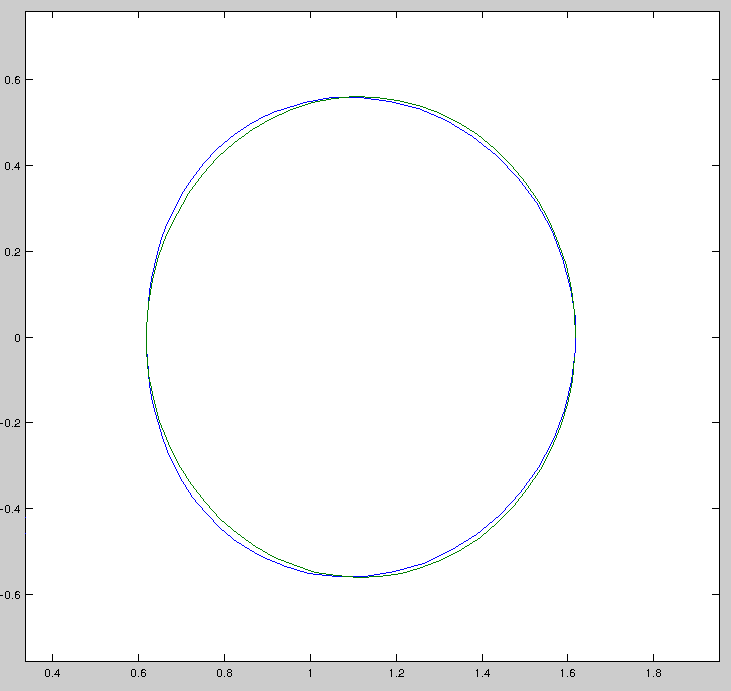 The green curve is an ellipse, since the blue oval is 'fatter' at smaller real values and thinner at larger real values it is in egg shape; I'll call it the golden egg! In fact there are two of these, one being the negative of the other. a = 1/(c + a) where c is the unit radius circle. Does anyone know the analytic formula? One could extend this idea to the quaternions (a golden orb? volume embedded in 4d) and presumably also to the octonions.